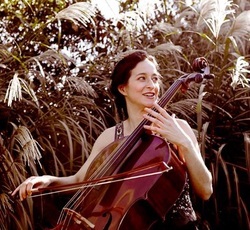 Ms. Kendall joined The Philadelphia Orchestra in September 2004 as Assistant Principal Cellist upon graduation from Curtis, where she studied with David Soyer and Peter Wiley. Ms. Kendall began studying cello at the age of five following the Suzuki method; upon completion of the Suzuki method, she continued her cellos studies with National Symphony Orchestra Principal Cellist David Hardy. At 16, Ms. Kendall made her solo debut with the National Symphony Orchestra at the Kennedy Center. Ms. Kendall’s festival participation includes Music from Angel Fire, Verbier, Marlboro, touring with Musicians from Marlboro, Taos, Kingston, and Carnegie Hall/Emerson String Quartet Workshop. Ms. Kendall is founding cellist of the Dryden String Quartet, which formed in 2001, and has performed at the Dutch and German Embassies, Kennedy Center, Reading Chamber Music Society, Schneider Concert Series, Curtis Alumni recital series, and the Philadelphia Chamber Music Society. Ms. Kendall has served on the faculties of the National Orchestral Institute, New York State School for Orchestral Studies, Philadelphia International Music Festival, Brevard Music Center, and Miami Summer Music Festival; serves as mentor for the Curtis Institute’s Community Artists Program, and maintains a private teaching studio. Ms. Kendall was the 2013 recipient of The Philadelphia Orchestra’s Kuhn Award, given annually to “the member of the Philadelphia Orchestra who has shown ability and enterprise of such character as to enhance the standards and reputation of The Philadelphia Orchestra”. ​See this blog post featuring Ms. Kendall.